It’s no secret that as we get older, sleep can become more elusive – yet it’s important for our health that we manage a regular seven or eight hours of uninterrupted dreamtime. A variety of things can contribute to a poor night’s sleep, including light levels, room temperature, and spending two hours watching the telly right before bedtime, but high on the list is a mattress that’s well past its sell-by date. How do you know if you need a new one? Well, if you regularly have a restless night, wake up feeling stiff or with aches and pains, it could be time to go shopping. And if your mattress is more than ten years old, it’s definitely time to break out the wallet. • Innerspring versions contain padding and metal coils. Cheaper mattresses have coils made from one piece of wire, while the more expensive pocketed spring versions have separate coils, which tend to adapt better to your body for improved support, and can help to eliminate partner disturbance. • Memory foam conforms to your body’s particular contours so aims to support you comfortably in all the right areas. It tends to offer a firmer surface, which can take a little getting used to if you’re used to a soft bed. Depending on the make, memory foam mattresses can also become quite hot, and retain heat. • Latex works in a similar way to memory foam but tends to be more breathable for a cooler night’s sleep. • Other mattress types include hybrid (combinations of spring and foam or latex); pillow top (which adds an extra layer of padding); and new material formulations such as Kloudcell from Koala, which has similar attributes to memory foam but with enhanced breathability to keep you cooler, doesn’t retain moisture, and offers zero partner disturbance who no waking your partner when you get up for water. If you’re under the care of a health professional such as a doctor, physiotherapist or chiropractor, it’s a good idea to ask their advice on choosing the right mattress for your specific needs before you hit the shops. 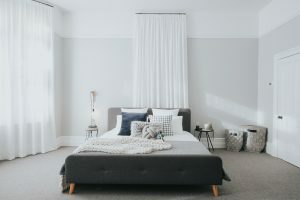 Generally speaking, mattresses made of materials like foam, and latex are regarded as being more suited to older people as they give better levels of support. If you’re cooler, you will usually sleep better, so breathability in the material is important, and if you have a partner, you can’t go past a quality mattress from Koala that offers zero partner disturbance. 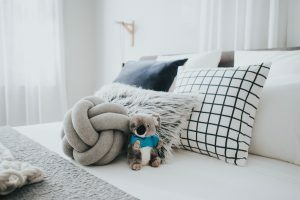 Bigger tends to be better, too, giving you room to stretch out and find your most comfortable sleeping position, so if you have the space, consider a size upgrade for your bed whilst shopping. Beyond these points, finding your comfort zone is mostly due to personal preference, and this is where the important ‘try before you buy’ approach comes in. When shopping, take your time. A quick bounce on a bed in store won’t tell you anything – you need to spend a while lying down in all imaginable positions to establish what works for you. A good bed store will give you plenty of time and space to try different types. If you’re buying online, look for models that offer a generous returns period. 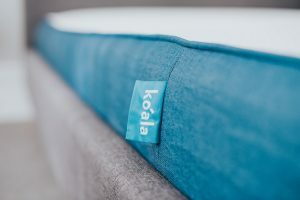 Koala has a no-quibble 120-day trial for their mattress, which gives you plenty of time to work out if it’s the one for you, and they also offer a ten-year guarantee against defects. Happy mattress hunting! If you’re in need of a good night sleep, try Australia’s highest rated mattress brand, and start the Koala 120 night trial today! 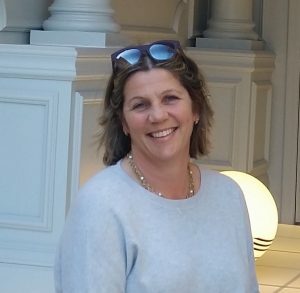 Jane Parbury spent several years devising, crafting and editing the features in Home Beautiful magazine, both in print and online, before making a South Coast sea change and embarking on a freelance career. With wide experience as an editor and content producer for homes and lifestyle publications both in Australia and the UK, she lives and breathes all things interiors.